A ground AND aerial assault makes sense of what seems like incontrovertible proof of both multiple shooters and multiple hotels under attack. Police scanners during the event also spoke of multiple shooters. "Multiple videos posted from the scene of the attack show a helicopter flying around the area which many have speculated could have been used for surveillance or dispatched by police after the shooting began. Astonishingly, new footage has emerged that may show muzzle flashes coming from the helicopter in what looks to be evidence that a team was firing into the crowd from the air on that fateful night." This first quick 42 second clip should, at the very least, peak your interest. 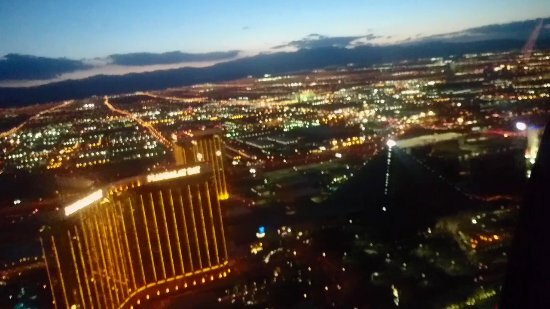 The second video, is much more in depth (and intense, watcher beware) regarding helicopters flying around the Vegas strip including Mandalay Bay, via YouTuber Truth Tracker. You might have to plug in earbuds/headphones to clearly hear the choppers throughout most of the ordeal, I had to.